You are blessed among women, Co­redemptrix! Blessed One selected in pref­erence to all who are blessed! Chosen One, singular among all who are chosen! Priceless Pearl that belongs in the treasury of God’s wisdom! Mother, you are the Glory of Mo­thers! We seek you, O Lady, and in all sincerity turn to you in prayer. Help us in our weak­ness; turn away from us all disgrace. Who is more worthy of entreating the Heart of our Lord Jesus Christ than you, blessed Mary, who live with your Son and speak with Him? Speak, Mother, for your Son listens to you; and whatever you desire you will receive. In­voke His holy name in our behalf. O Mary, Mary, bearer of the fire of love, and dispenser of mercy! Mary, Co-redemptrix of the human race, when you clothed the Word with your flesh, the world was redeemed. Christ paid its ransom with His Passion and you paid it with the sorrows of your body and soul. Again it must be stated that Mary’s participation in the redemption of the human family was completely and in every way secondary and dependent to the sacrifice of Jesus the Savior. Hence, the title Co-redemptrix should never be interpreted as Mary having an equal role in the salvation of the world with Jesus. At the same time, her truly meritorious act of giving flesh to the Redeemer and of participating uniquely in Jesus’ painful sacrifice rightly won for her the title of Co-redemptrix. The Church’s Magisterium has unquestionably confirmed the completely subordinate but authentic co-redeeming role of the Mother of Jesus. 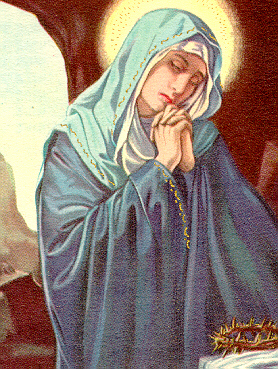 + Pope Benedict XV in his 1918 apostolic letter stated: “To such extent did she [Mary] suffer and almost die with her, suffering and dying Son, and to such extent did she surrender her maternal rights over her Son for man’s salvation … that we may rightly say that she together with Christ redeemed the human race” (Inter Sodalicia). (Pope John Paul II: Redemptoris Mater, No. 39). A decree of the Holy Office praises the custom of adding after the name of Jesus that of His Mother, our Co-Redetnptrix, the Blessed Virgin Mary. The same Congregation has indulgenced (Jan. 22nd, 1914) the prayer in which Mary is addressed as Co-redemptrix of the human race. Since the word ‘co-redemptrix’ signifies of itself simple cooperation in the work of redemption, and since it has received in the theological usage of centuries the very precise meaning of secondary and dependent cooperation…there can be no serious objection to its use, on condition that it be accompanied by some expression indicating that Mary’s role in this co-operation is secondary and dependent. Mary’s co-operation in the Redemption. The title Corredemptrix= Coredemptress, which has been current since the fifteenth century, and which also appears in some official Church documents under Pius X (and other Popes) must not be conceived in the sense of an equation of the efficacy of Mary with the redemptive activity of Christ, the sole Redeemer of humanity (1 Tim. 2, s). 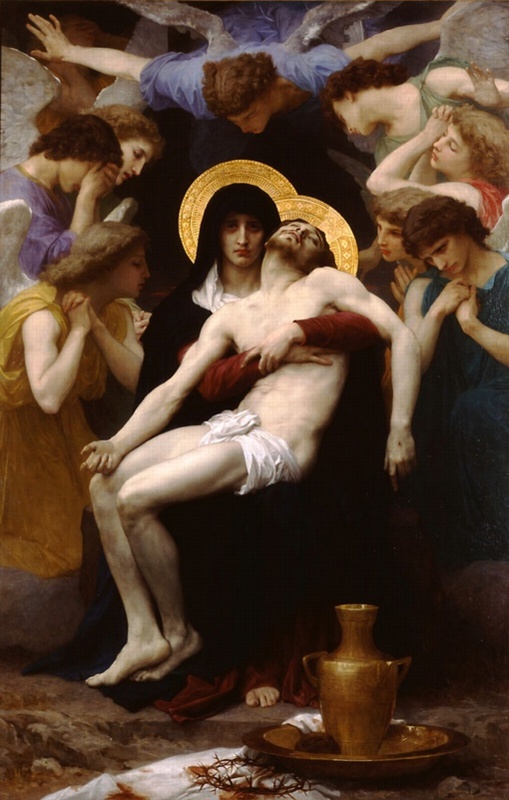 As she herself required redemption and in fact was redeemed by Christ, she could not of herself merit the grace of the redemption of humanity Her co-operation in the objective redemption is an indirect, remote cooperation and derives from this that she voluntarily devoted her whole life to the service of the Redeemer, and, under the Cross, suffered and sacrificed with Him. As Pope Pius XII says in the Encyclical “Mystici Corporis” (1943): She offered Him on Golgotha to the Eternal Father together with the holocaust of her maternal rights and her motherly love like a new Eve for all children of Adam As “The New Eve” she is, as the same Pope declares, in the Constitution” Muniticentissimus Deus” (1950), “the sublime associate of the Redeemer”. 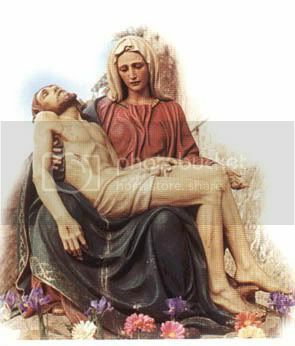 Mary’s role as Mediatrix with Jesus, the one Mediator, has two fundamental expressions in the order of grace. First, Mary uniquely participated with Jesus Christ in reconciling God and man through the Redemption. For this role she has been called “Co-redemptrix” (meaning a secondary and subordinate participator in Jesus’ Redemption of the world). Secondly, Mary gave birth to Jesus, source of all grace, she distributes the graces merited by Jesus on Calvary to human family. This role of Mary as the person responsible the distribution of graces is referred to as “Dispenser of all grace” or oftentimes by the more general title, “Mediatrix of graces”. Mary is our Co-redemptrix with Jesus. She gave Jesus his body and suffered with him at the foot of the Cross. Mary is the Mediatrix of all grace. She gave Jesus to us, and as our Mother she obtains for us all his graces. great graces to the Church. All for Jesus through Mary. God bless you. Mother Teresa of Calcutta, August 14, 1993. You are Queen also because you are coredemptrix. Jesus reigns over us not only by natural right, but also by the right of redemp­tion. As cooperator with your Son in that work of redemption, you also acquired the right to reign with Him. God chose you to be His Mother and by that very choice has associated you with Himself in the work of the salvation of men. Since you had your place beside Jesus when there was question of ransoming us and merit­ing for us all the graces necessary for our salva­tion, you must in like manner have your place beside Him now, when there is question of securing for us by your prayers in heaven the graces prepared for us in view of the merits of Christ. This is my hope: that you will be a mother to me and obtain for me the grace I need to save my soul. You have not climbed alone! I would have carried it unto my death. My Son, with every breath! I wear them in my heart! Brothers, God bless you for this post today. I hope all is well with the Franciscans of the Immaculate. Where did this St. Bernard quote come from? I did not know that he called Our Lady the Co-redemptrix. Thank you for asking. This quote comes from Fr. Lawrence Lovasik,SVD and his book “The Complete Marian Prayerbook”. It was published by Catholic Book company and has both a nihil obstat and an imprimatur!